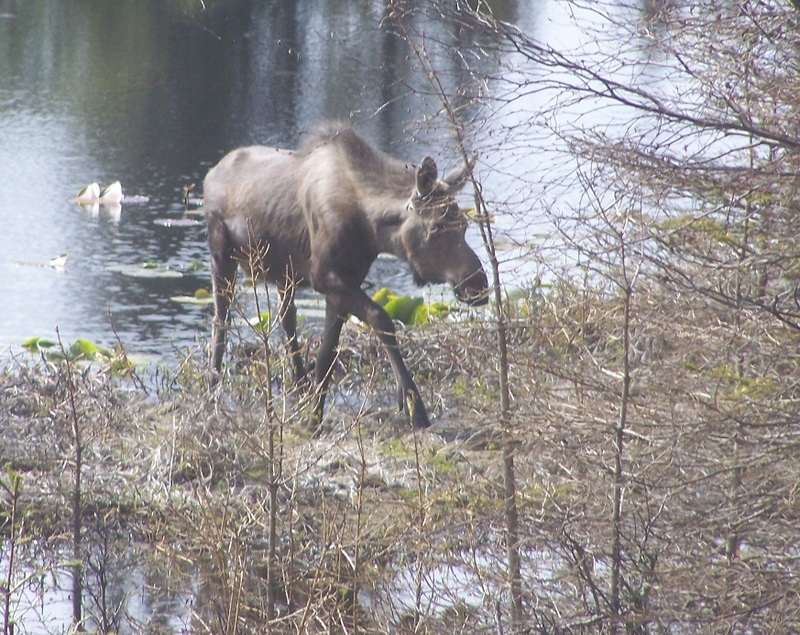 I received a couple of requests on wanting to see how we grow things in the far North. 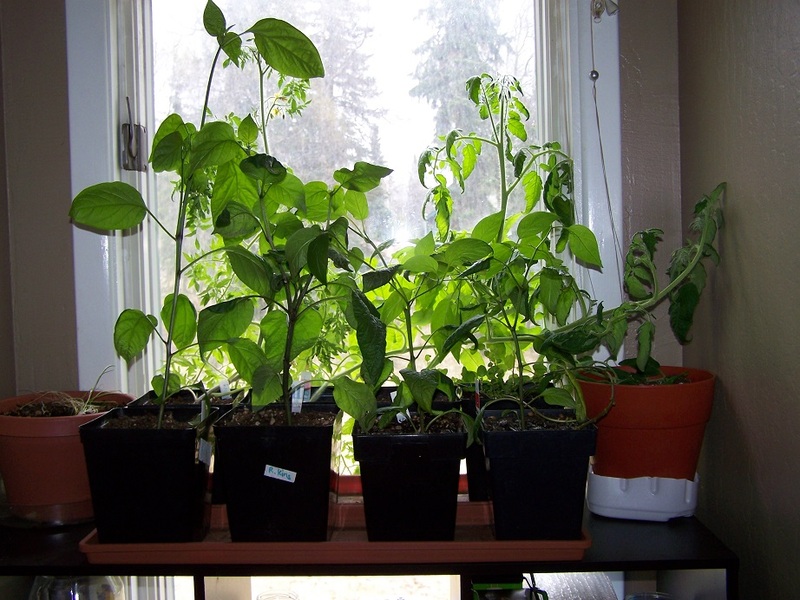 It is all about being able to start your crops early enough indoors that they can finish outside during our short summer. This year we are putting in a bunch of 2x6 framed raised beds, and we have most of them built. But we still have to source some soil, as what we have here is a blend of rock, glacial silt, and volcanic ash. 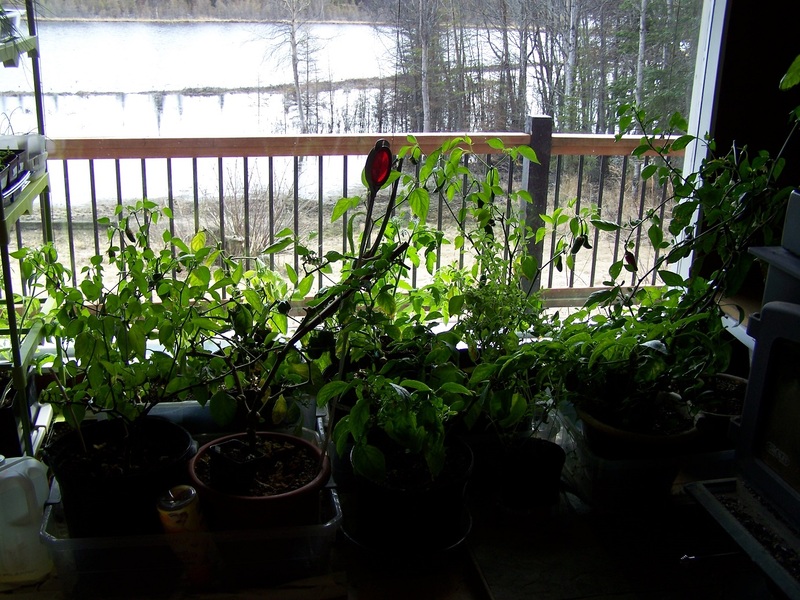 But I will start by sharing a few pics of our south facing picture window, it is where most of our peppers and tomatos are becoming established. It is still early to put them out side, as our night time temps are still in the mid 30's, and there is a still a risk of frost. 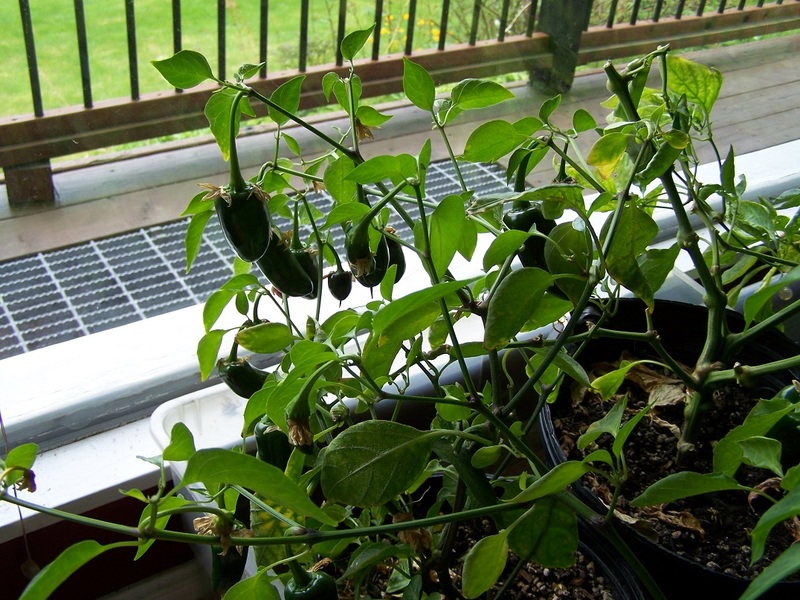 FYI, most of these big peppers are on year two now (a couple on year three), and have been producing inside the house throughout the winter. 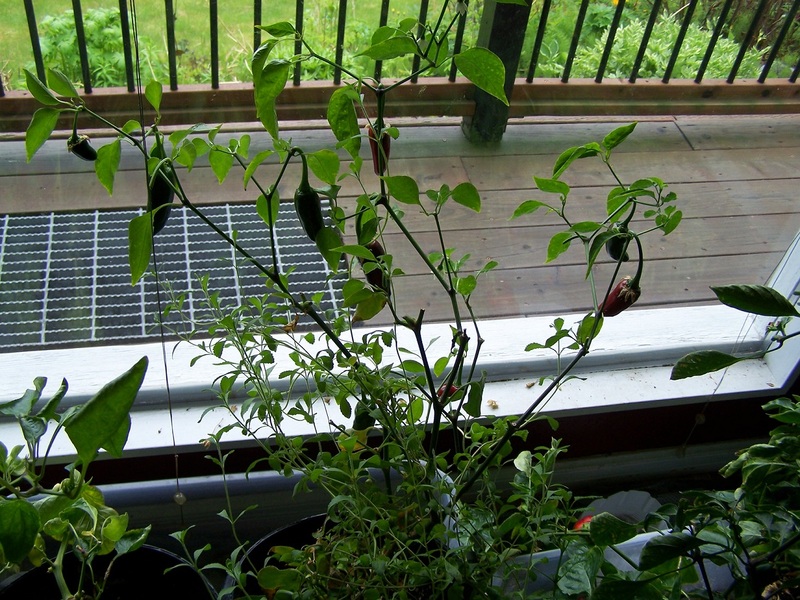 I'll have to take some more pics to show you the area where we grow most of our herbs, and the upstairs grow room that also has a bunch of starts in it of other peppers, and some basil, along with a bunch of flowers for some hanging baskets. 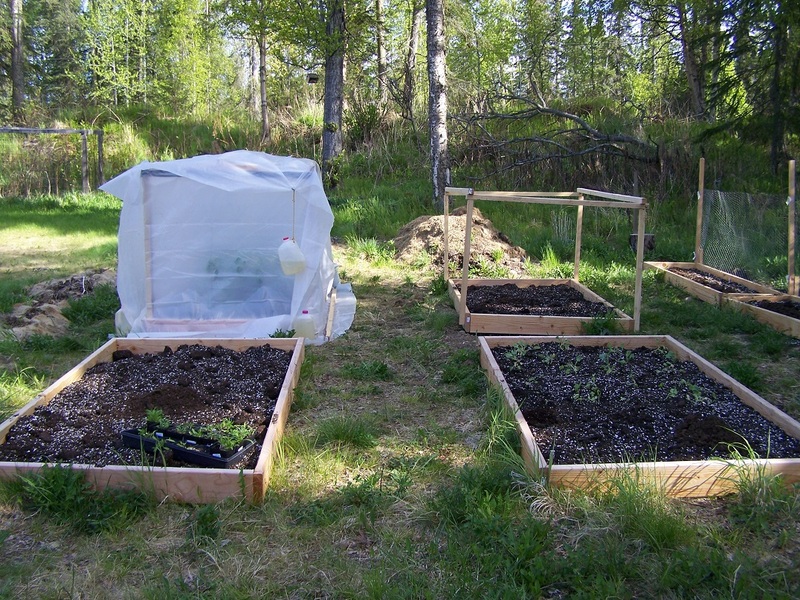 And I will also try and remember to get some pics of our newly constructed raised beds. Peace and love from the north. 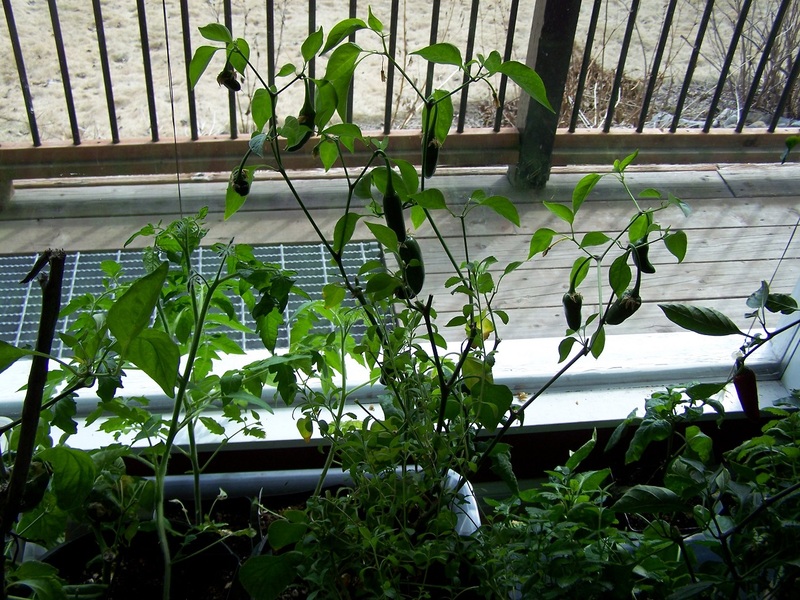 I kept a few pepper plants inside over winter for the first time ever this year. 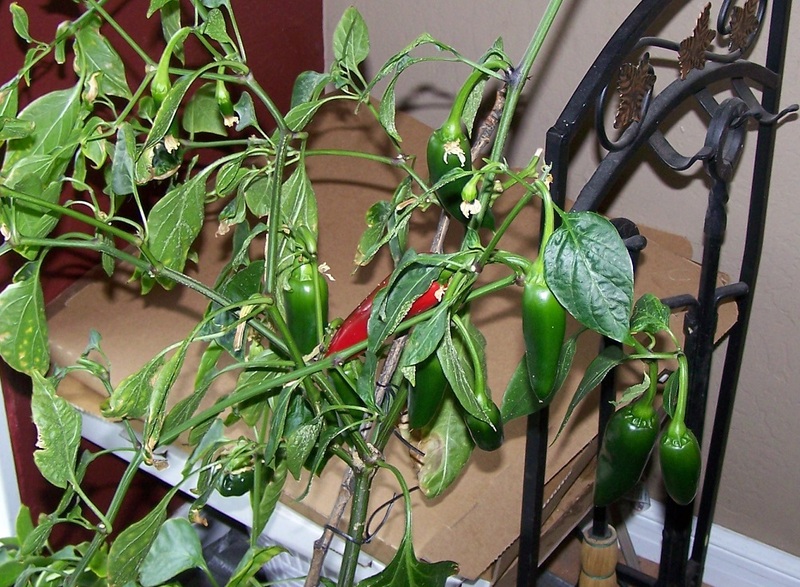 They didn't produce anything after I ate all the peppers off them around December or January. I plugged my biggest one into the ground a few weeks back, and it's taking off again. 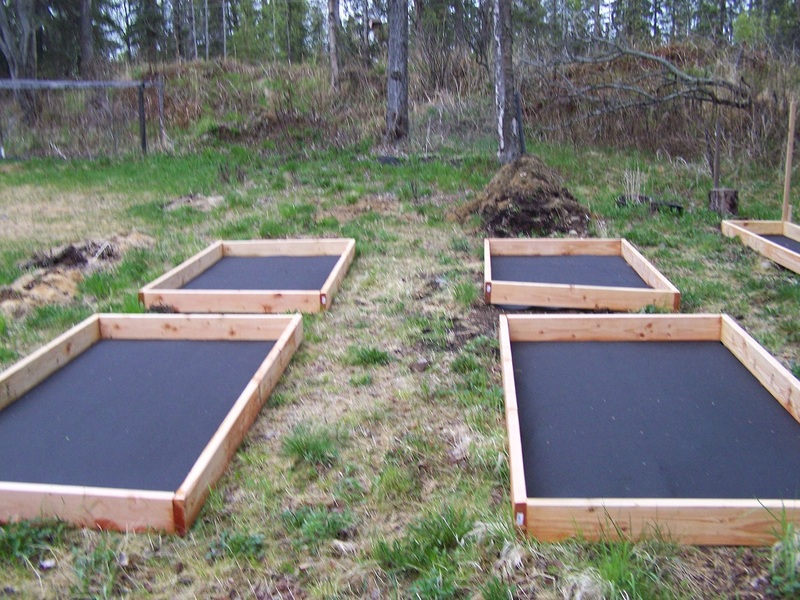 Cold frames are the way to go for an early start anywhere. Your starts look great, looks like being in the north isn't going to slow you down much at all. Thanks for the kind words TR. 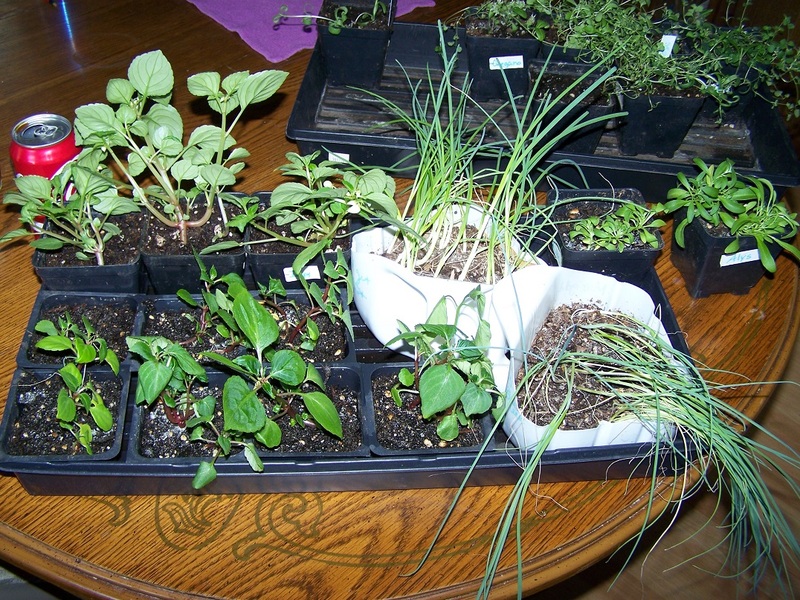 We will also be planting potatoes, rutabagas, radishes, cabbage, lettuce, broccoli, beans, and peas directly in the ground in the next week or two (go to get a truckload or two of soil first). Now that the soil temp is getting warm enough for things to grow here again, we have to get moving or else we will miss out on the season. I use the rhubarb as an indicator for that, and it has just started pushing its green leaves out of the ground in the last week. Here are some more starts that were hiding at the end of the hall. 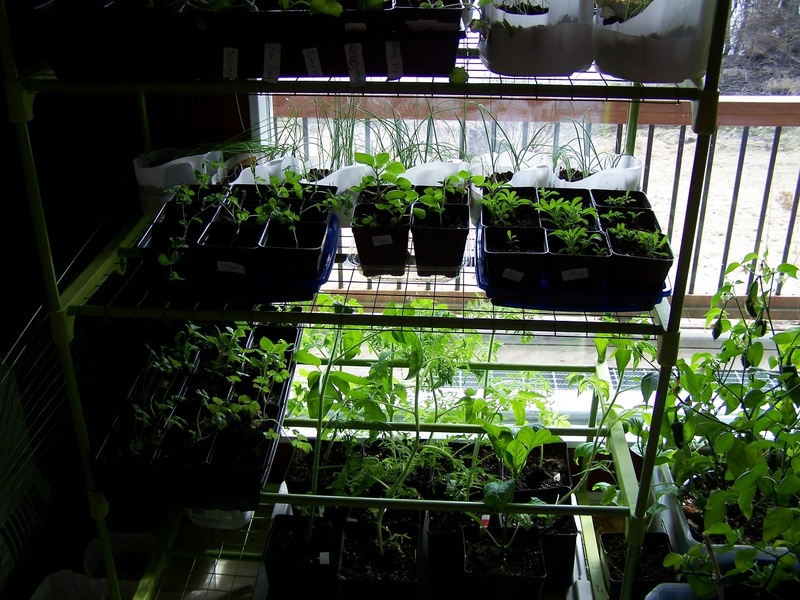 This window is usually where we put our herbs once we get the rest of plants outside. 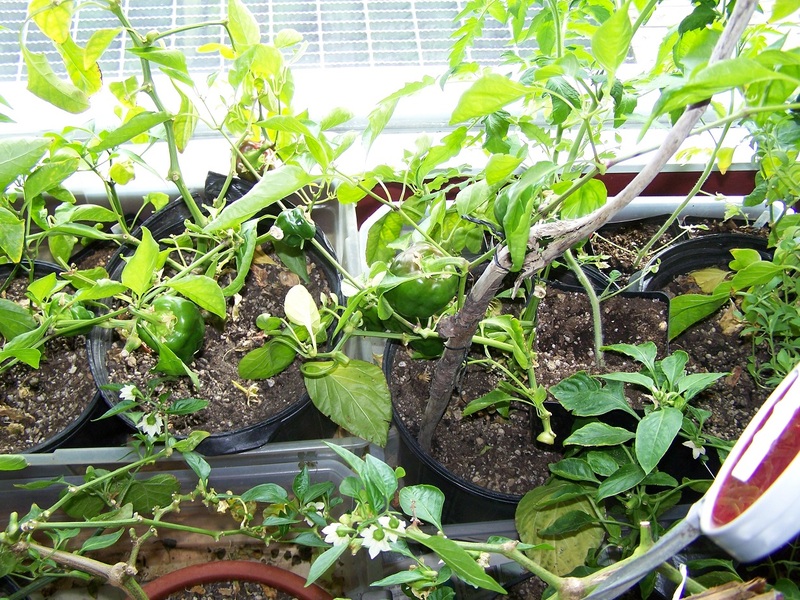 Edit: When we want to make our potted peppers push some blooms, we give them a shot of Bio-Marine, from General Hydroponics, in the organic line. Even in the short winter days it will cause them to push some fruit. Edited by Juthro, 06 May 2015 - 08:21 PM. Traditionally gardens around here get planted on memorial day. But it is not unheard of to still have a surprise snow storm in June. But you have to kind of play the odd's, as the season is short. The thing you do have going for you is at that time there is a LOT of day light hours. When your getting over 20 hours of day light a day, it helps to make up for the short grow season. Do you ever have issues getting things to fruit/flower under a 20 hour daylight period? I know a lot of plants ate photo cycle sensitive. while other are daylight neutral. I believe other are fruit by age . I hear you guys grow great gardens up north. Definitely yes, some plants internal clock gets hopelessly confused by our extreme light cycles. 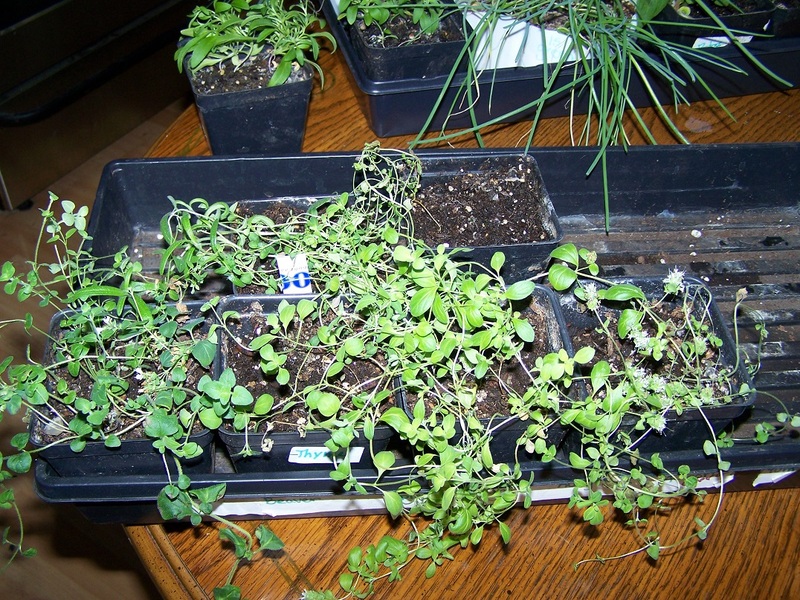 The most common problem occurring in the fall with plants waiting to long try and set fruit or make seeds before the cold hits. 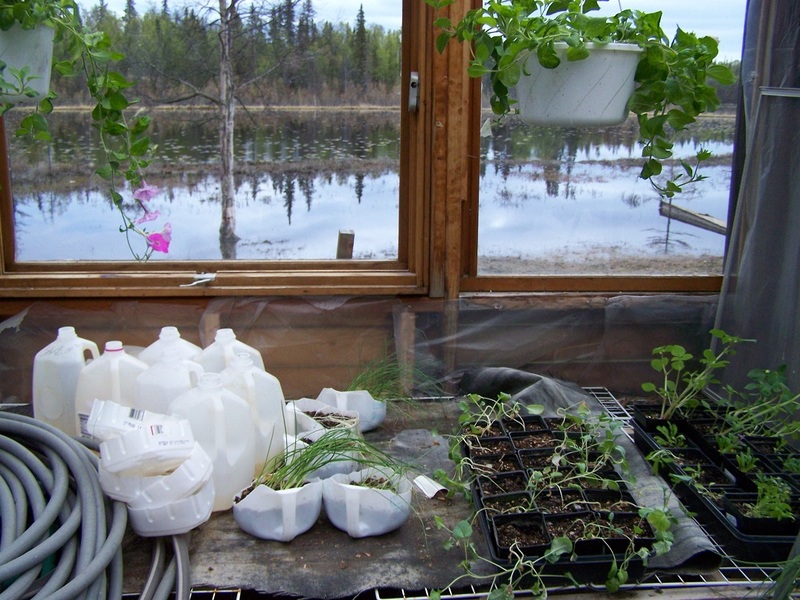 You can extend the season some by moving plants back inside of a green house, but that can create problems too, as not all plants can handle being moved that late in their life cycle. That is one of the biggest challenge to growing here IMO, finding the plants that will do well and avoiding the ones that don't. I've been lazy, both in the garden and updating my thread, so I tried to catch up some this weekend. Here are some pics of what I've got going on. I've heard that world record plants like pumpkins come from up there. World record as in 900 pounders or more that look to be as big as a VW Beetle. Juthro, do you have room on the lot for a dedicated greenhouse? 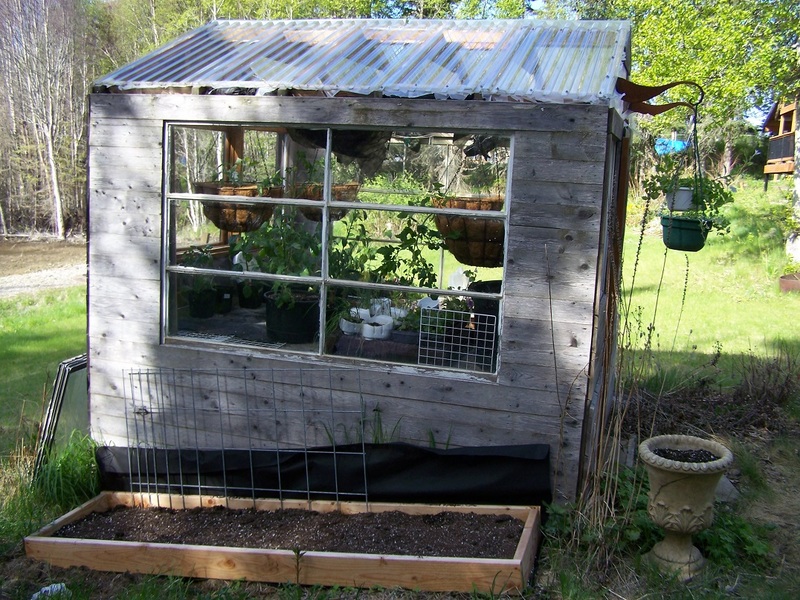 I would like a bigger greenhouse then what we have, but I would also like a new Jeep, lol. I've got room for a larger one, up on the hill, but it would require removing a cushion of trees between me and a neighbor, and would require a lot of fill to level off the hill. This is what I have until we replace it. Thank you, it is my wife's creation. A hybrid cross between a low tunnel, and a hot house, lol. 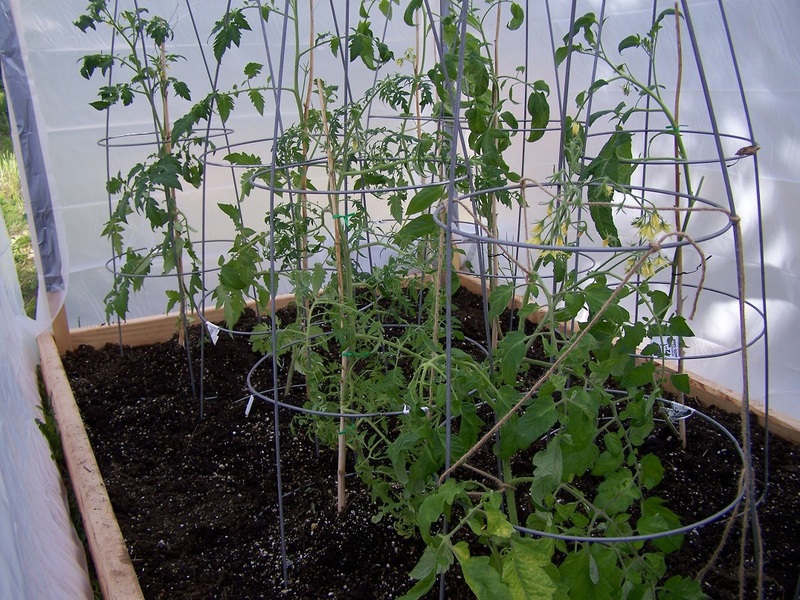 We are hoping it works well for our tomato's this season. 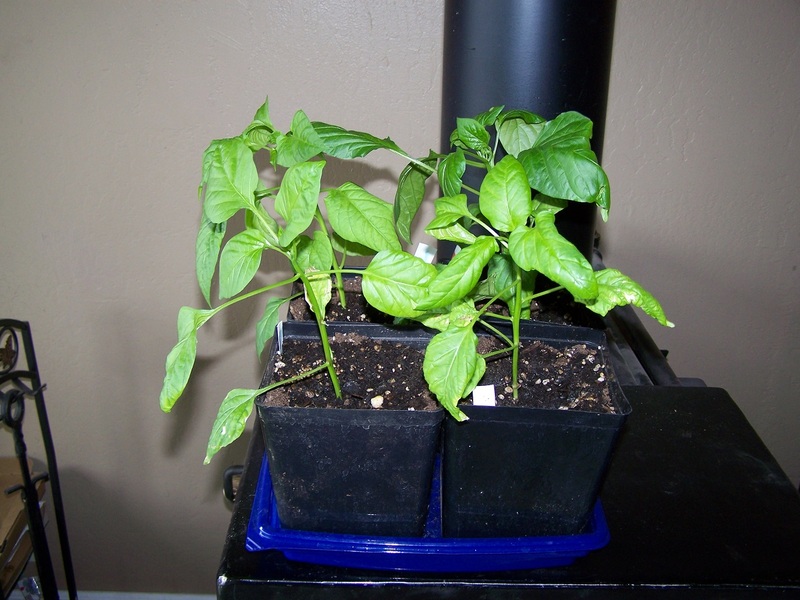 Here are a couple of peppers that are digging the warmth under the lights upstairs. 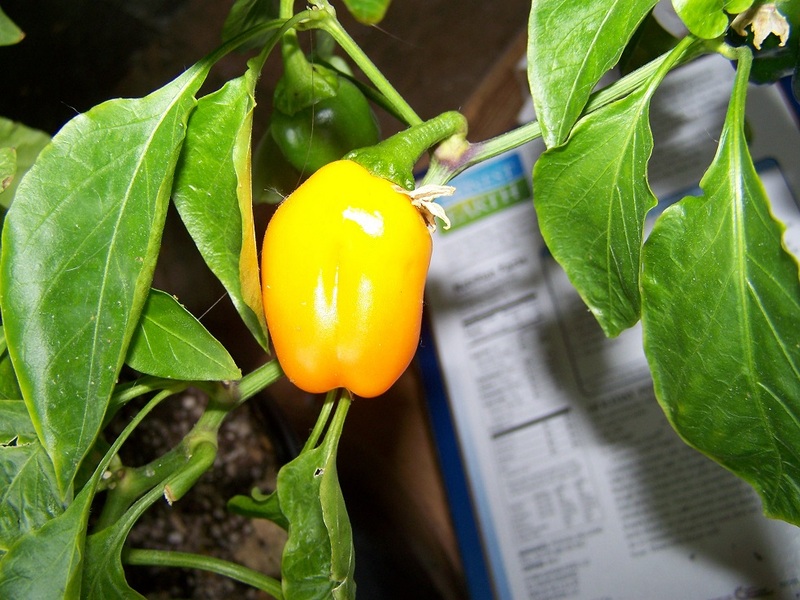 The first is a Paprika, and I think it is cool how is starts out white, changes to orange, and then to red when fully ripened. They just look weird when they are white. Cool, but weird. The other pepper is a Georgia Flame, a new pepper for me, it seems to grow well. I am looking forward to trying it in salsa, as a friend gave it rave reviews. The early starts are looking good. I have seen cabbage and Kale in August up in Anchorage, that were easily 4 feet across and equivalently tall. 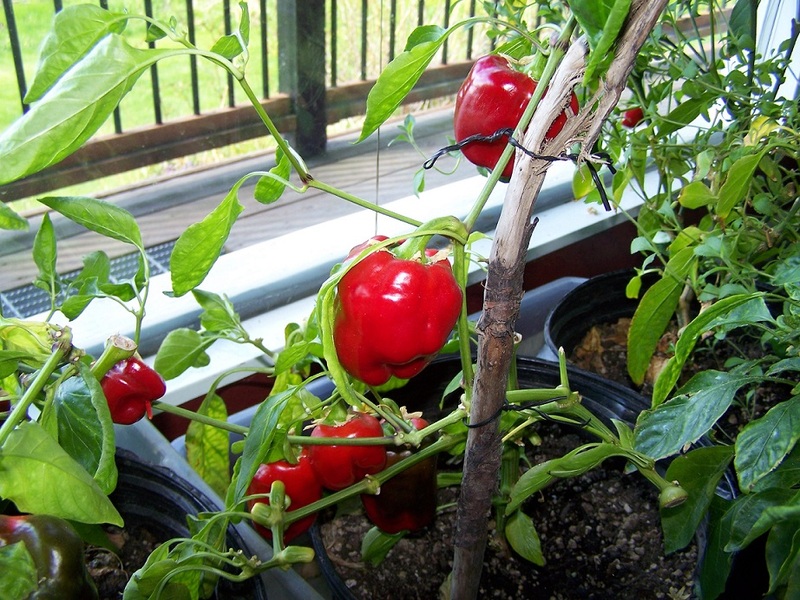 If you are interested in some paprika seeds, it is an open pollinated verity that I got from seed savers. 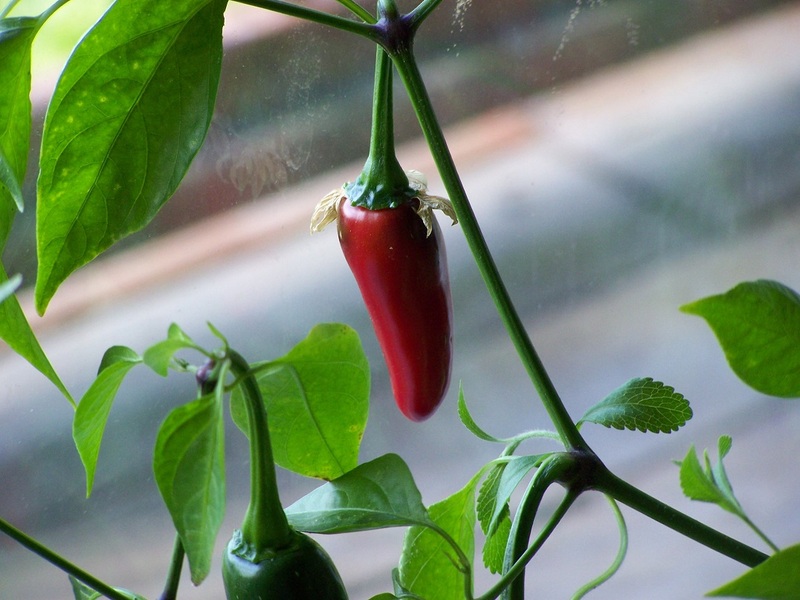 The "Alma Paprika", mildly peppery and very sweet. A good choice for drying and grinding (I just use a coffee grinder BTW), though they are quite good fresh as well. I personally like to smoke them before grinding. A wonderful spice, and so much fresher and more flavorful then what you get in the store. If you would like seeds, PM me my friend, and they are yours. 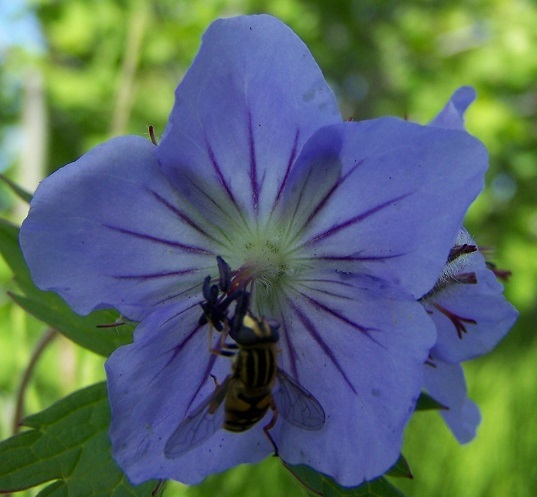 They are open pollinating and easy to seed save from as well. My better half and I having been making a conscious effort to try and find verities that are open pollinated and easy to seed save from. 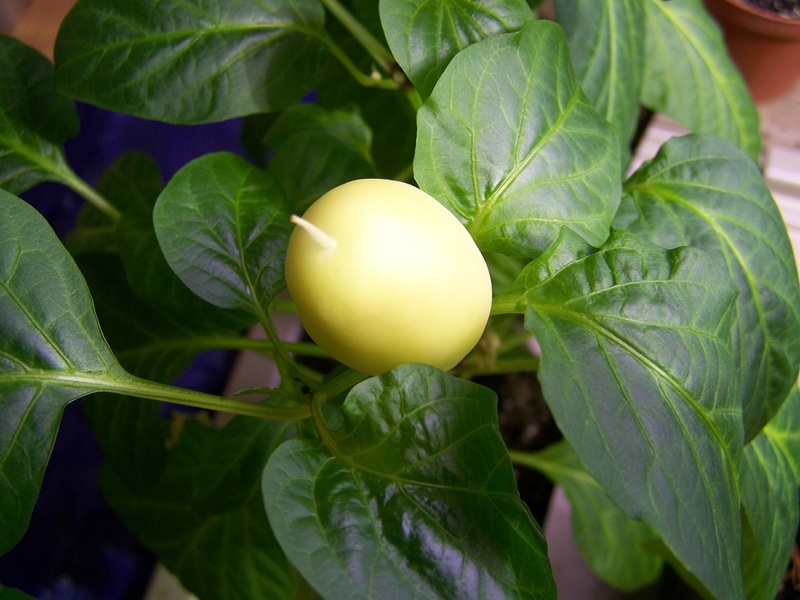 So if anybody happens to see a plant I'm growing that they would like to try, hit me with a PM, and chances are I've got seeds to share, and if I do, I would be happy to mail you some. 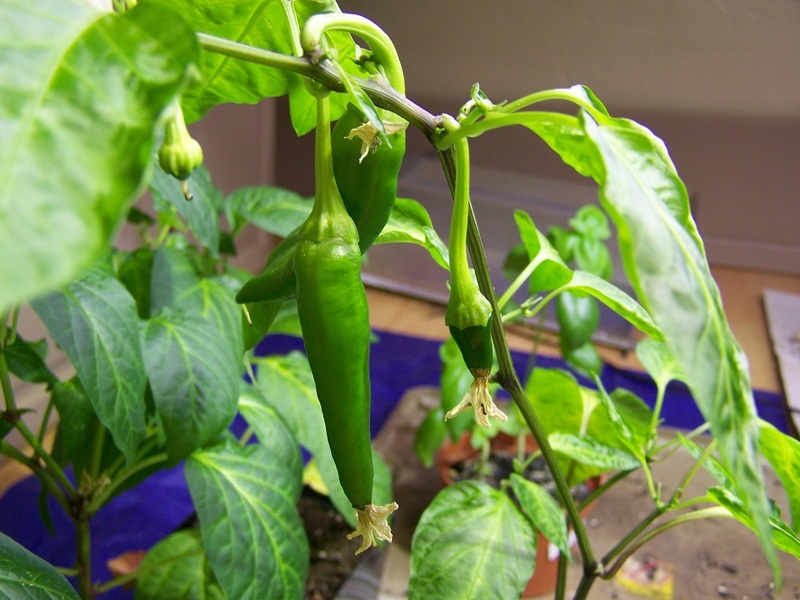 We still have a couple of hybrids we haven't found good replacement's for, but we are trying to phase them out of the garden for a more self-sustainable harvest. A wild geranium growing at the gardens edge. Thanks Doc! Good of you to stop in and say hi :) Friendly faces are always a welcome treat. I hope you and yours are doing well my friend. Edited by Juthro, 14 June 2015 - 11:12 PM.